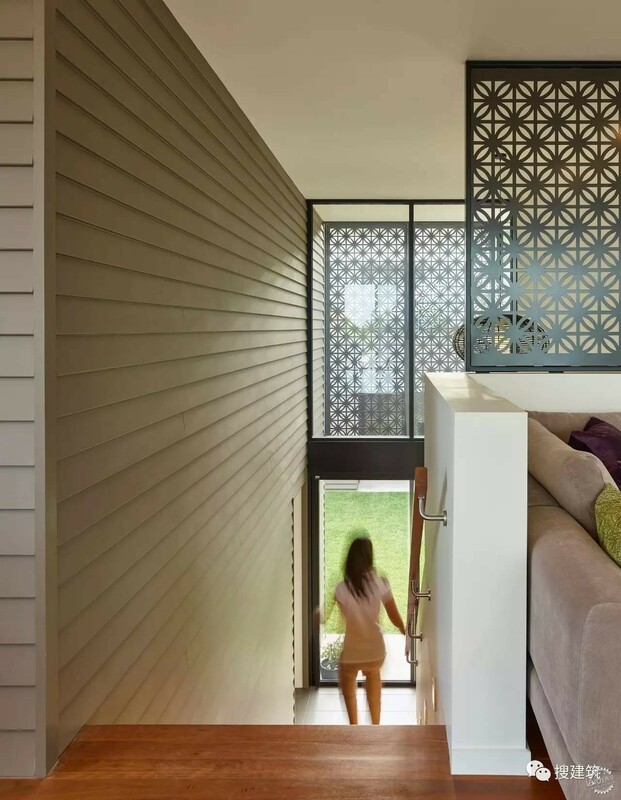 Standing in the living room, one feels like they are in a bird house. 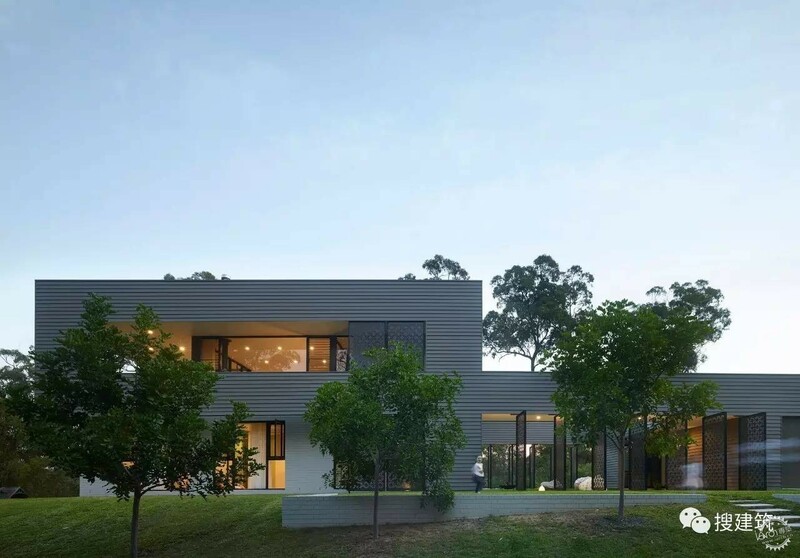 Surrounded by bushland and tall gums the 'Bird House’ was designed to have a strong connection to its setting and the abundance of native flora and fauna on the site. 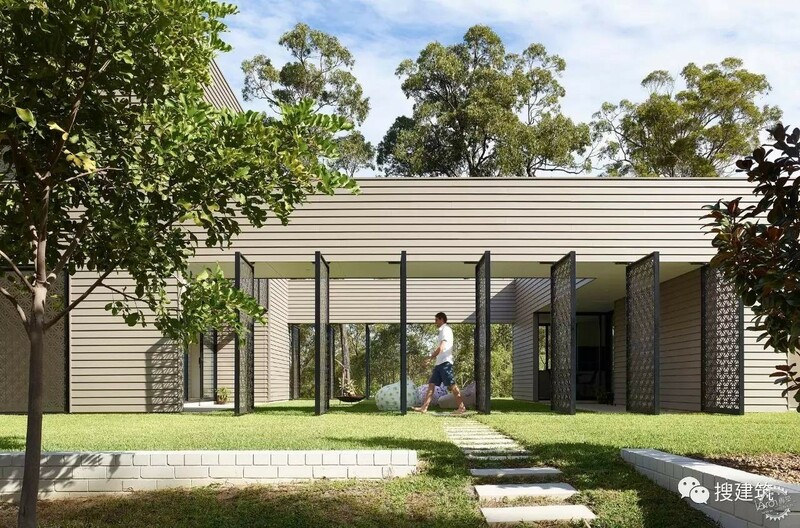 The design really brings the outside in, maximises immediate and distant views and encompases the benefits of natural light and natural cross-ventilation. 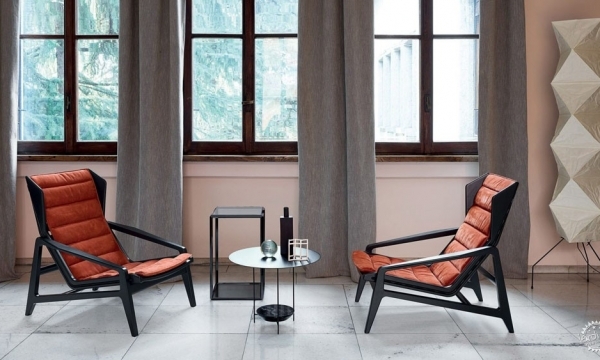 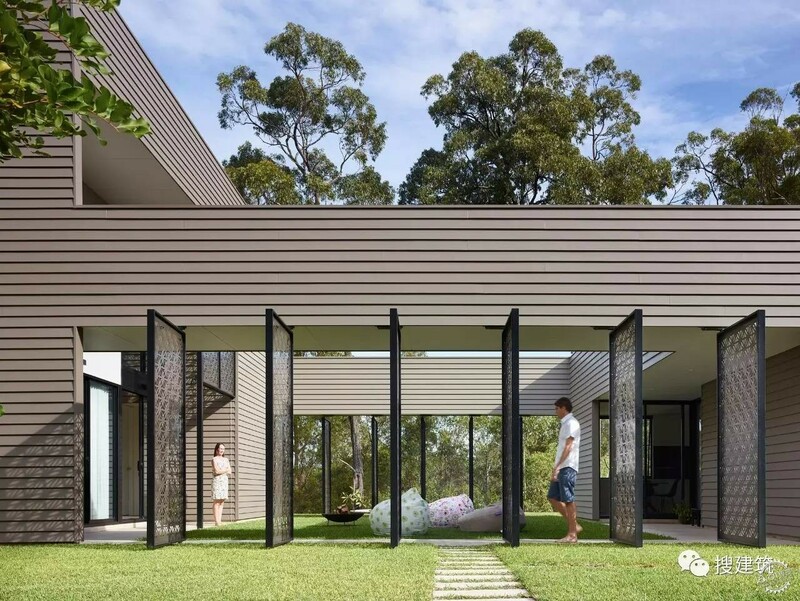 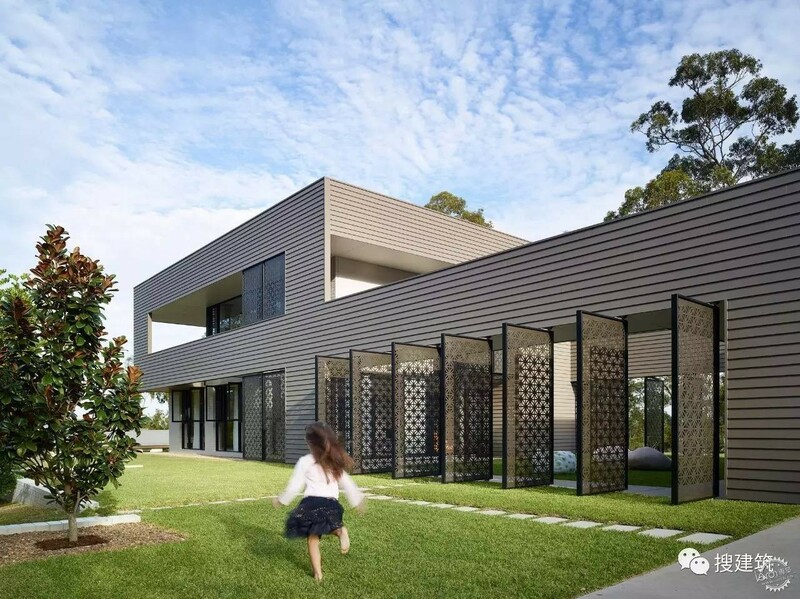 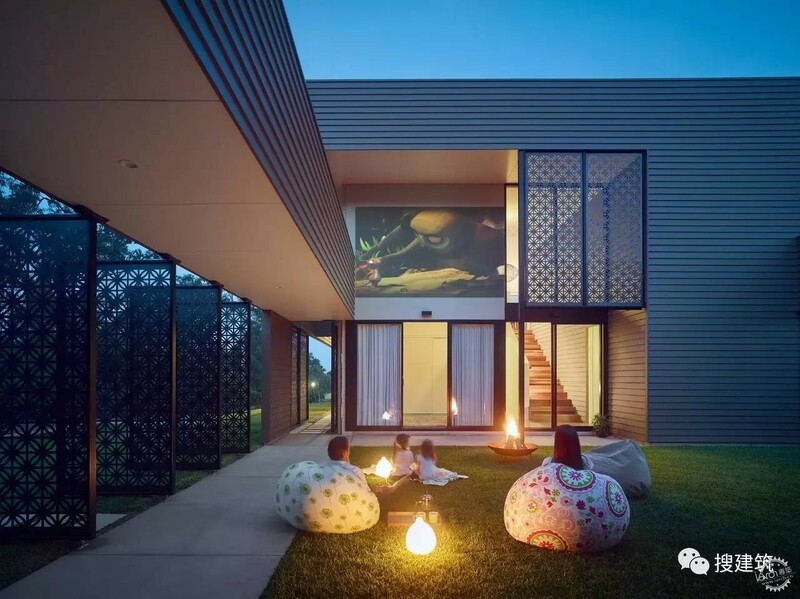 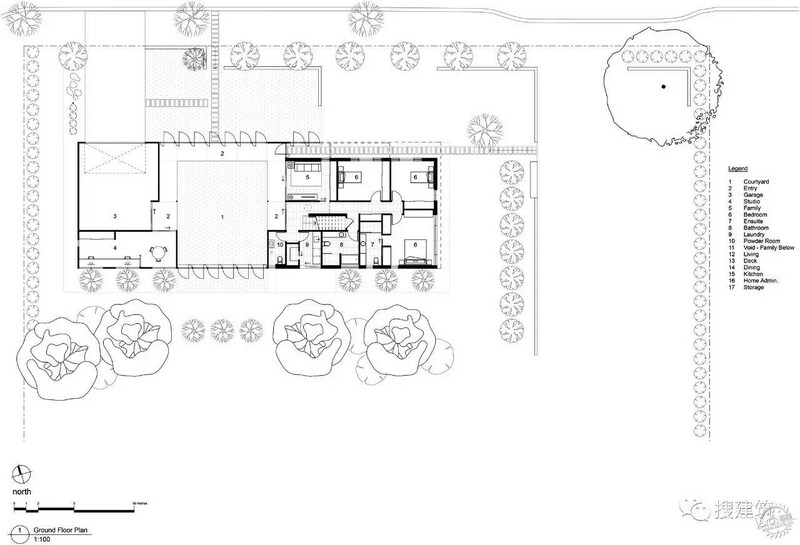 Essentially the home comprises of two pavilions connected by a central grassed courtyard which is a special green space in the heart of the home. 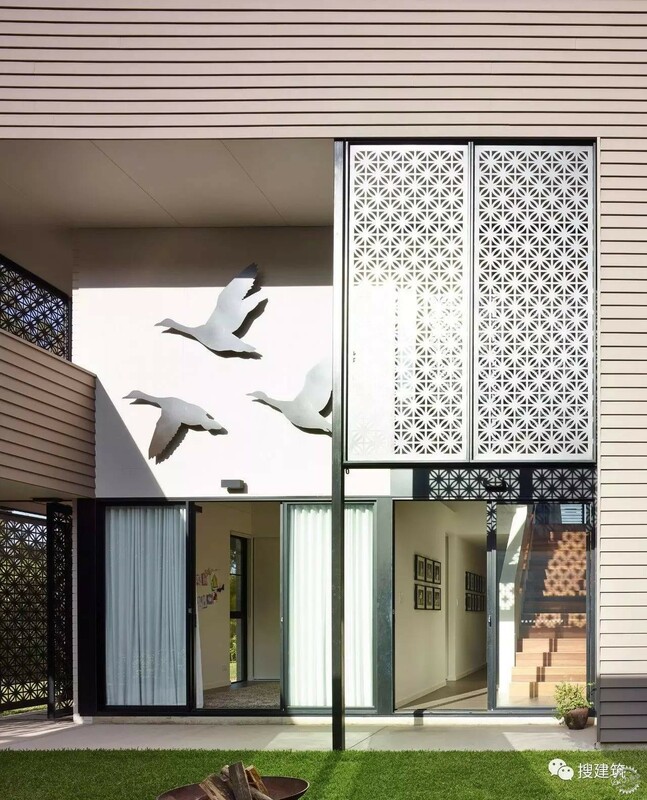 The courtyard is surrounded by openable laser-cut screens and provides a unique entry and arrival experience. 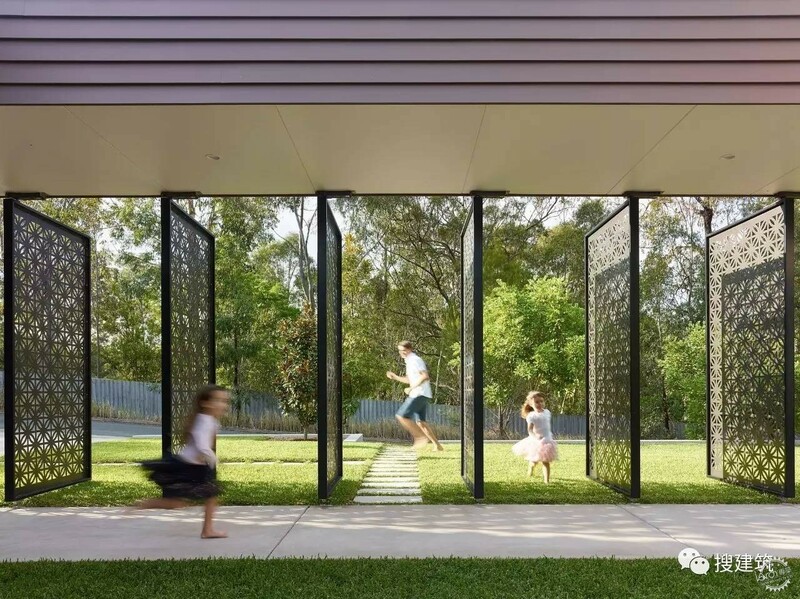 The courtyard changes dimension throughout the day and night; by day it offers shade and filtered light through the screens, by night it frames the starry sky and provides a beautiful, private outdoor room to spend time together gathering around the fire bowl and enjoying outdoor movie nights that are projected onto the western wall where the external artwork (flying ducks) can be removed. 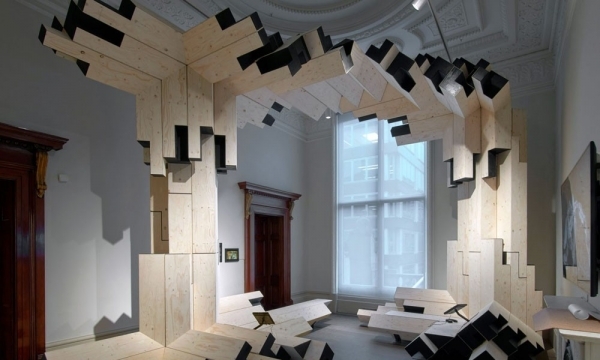 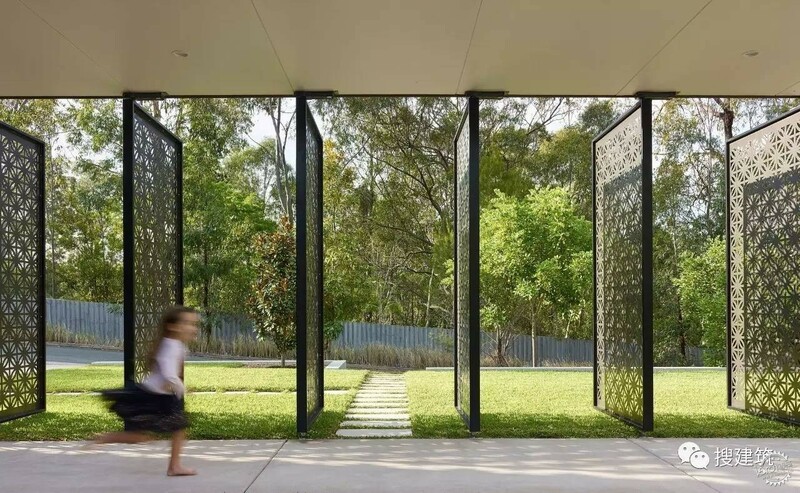 As the screens are openable the space can be intimate or opened up to connect to the surrounding landscape. 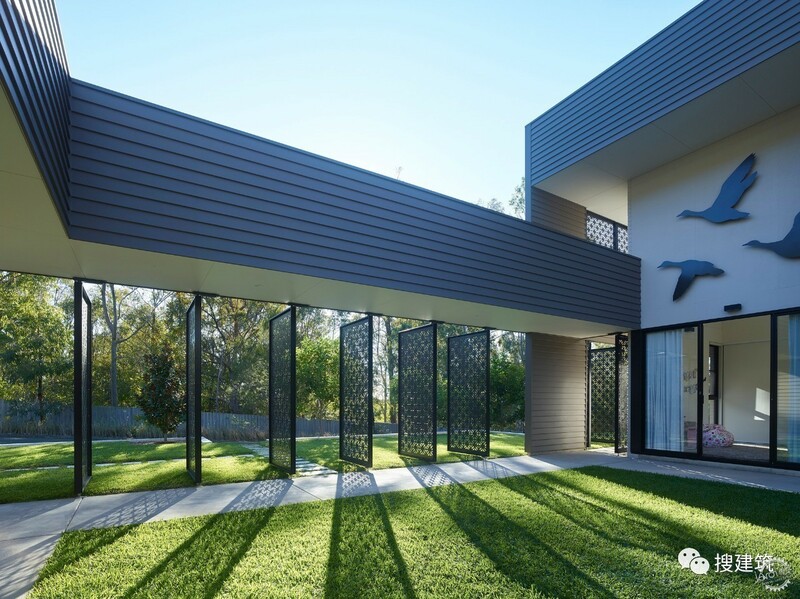 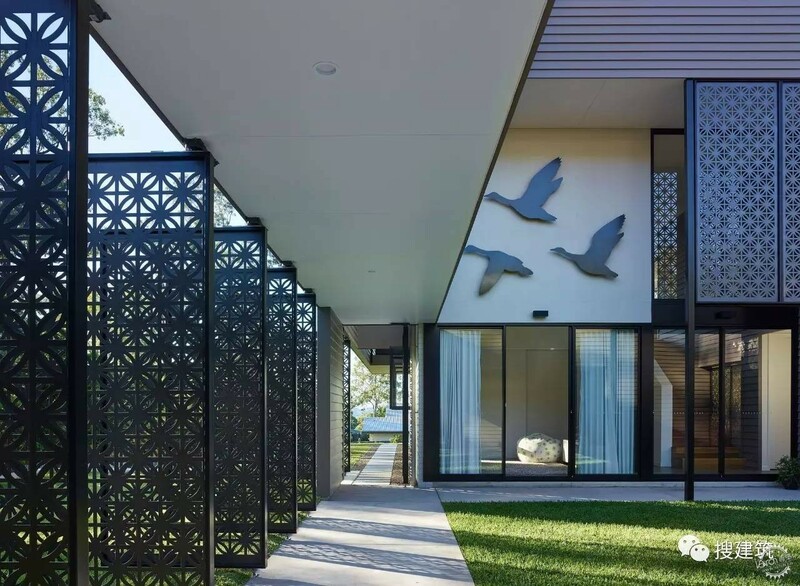 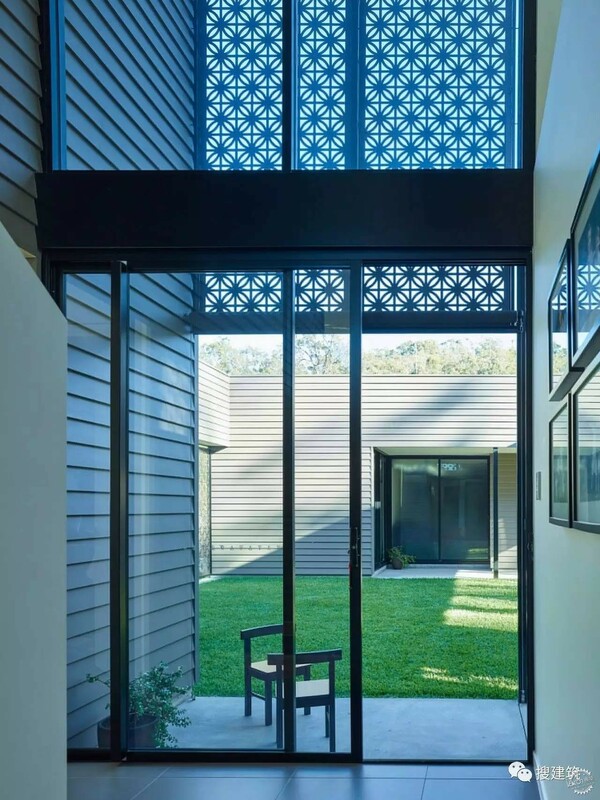 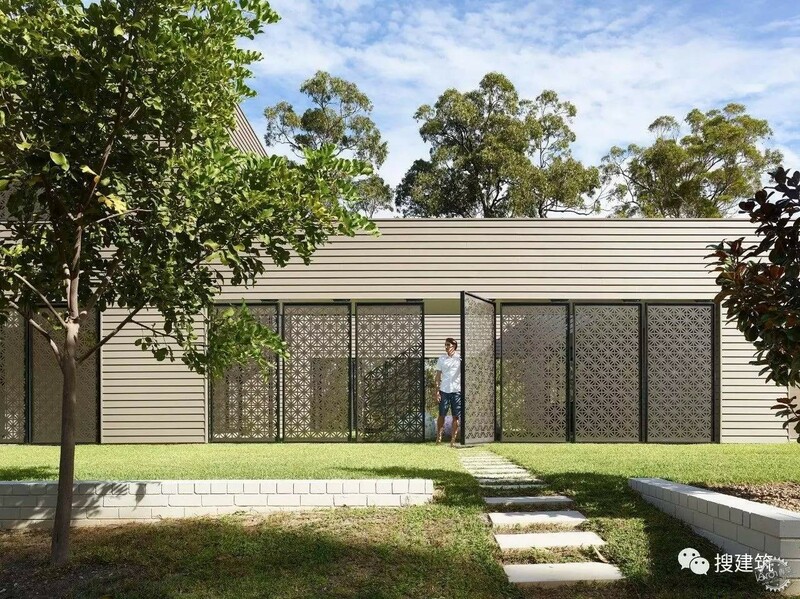 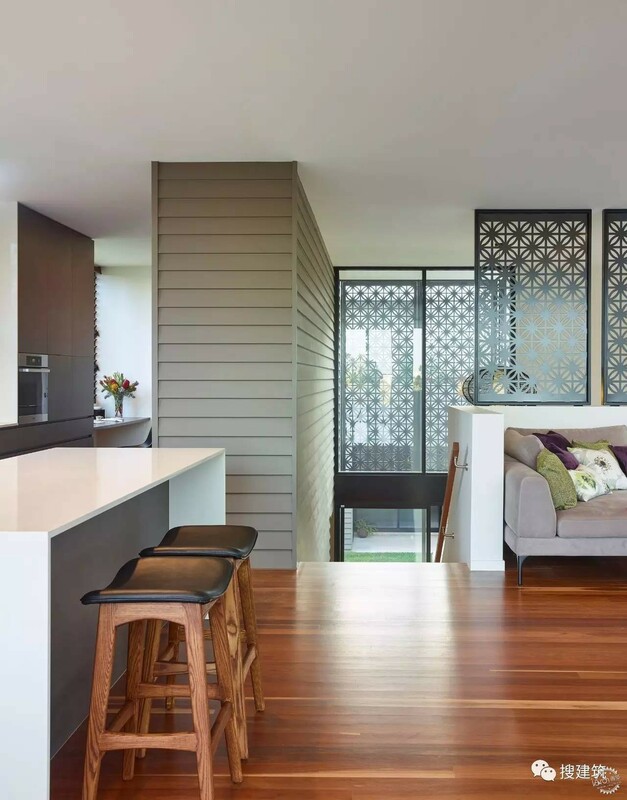 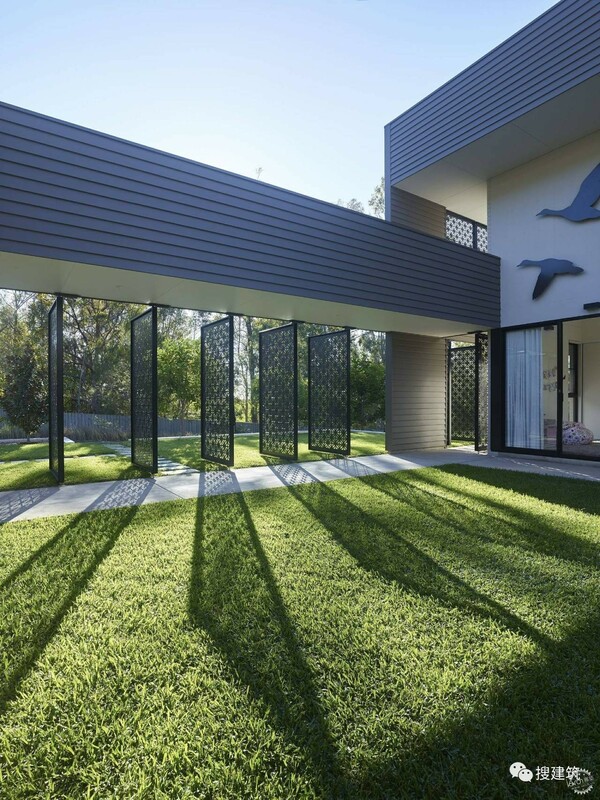 The laser-cut screens are used in other areas of the home to provide screening for shade, privacy and separation of space. 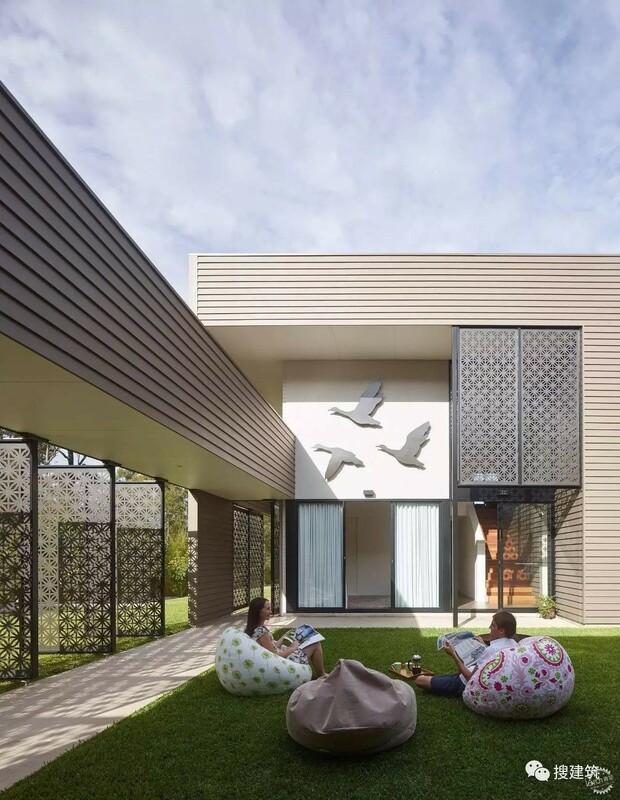 The Bird House has an extremely efficient plan and the illusion of space is maximised through the use of a void and floor to ceiling glazing enabling a greater connection to the environment. 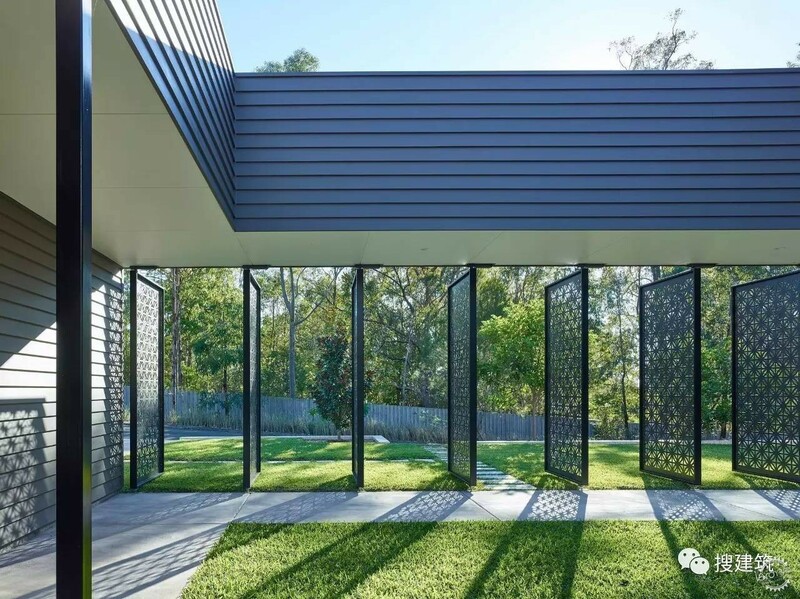 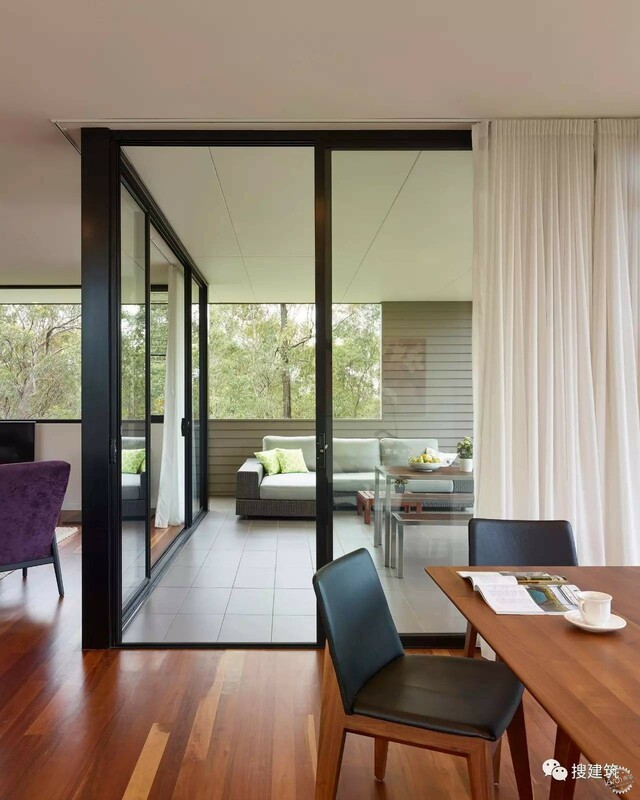 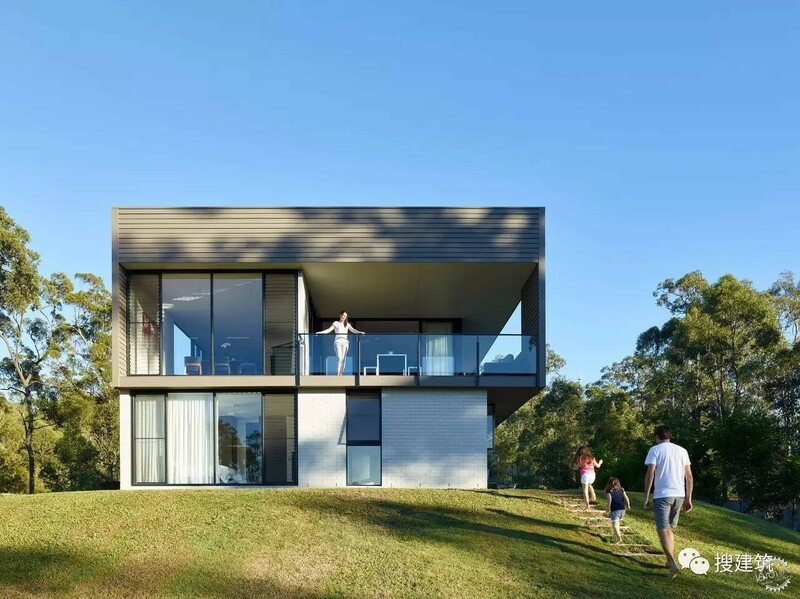 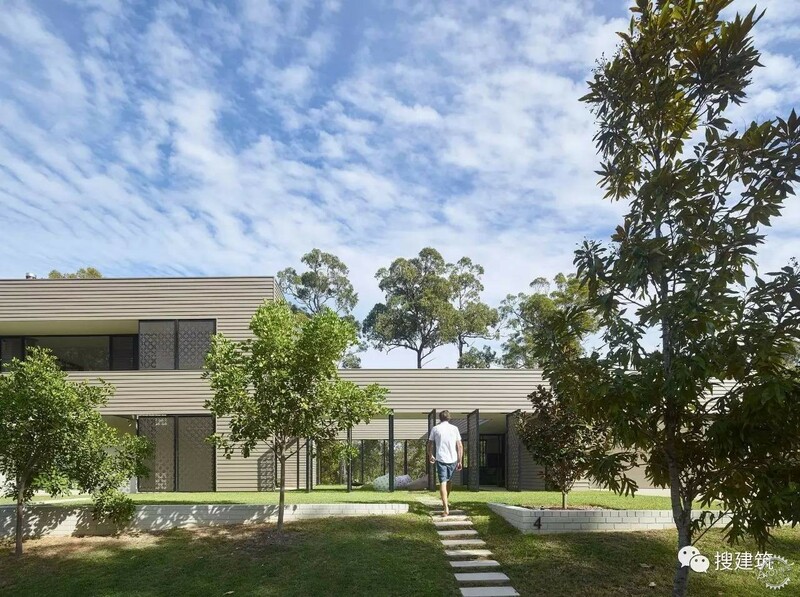 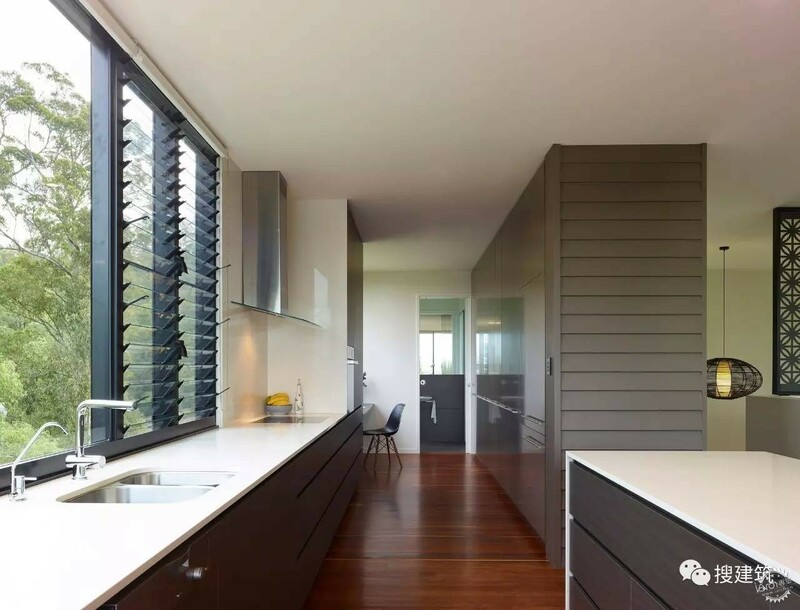 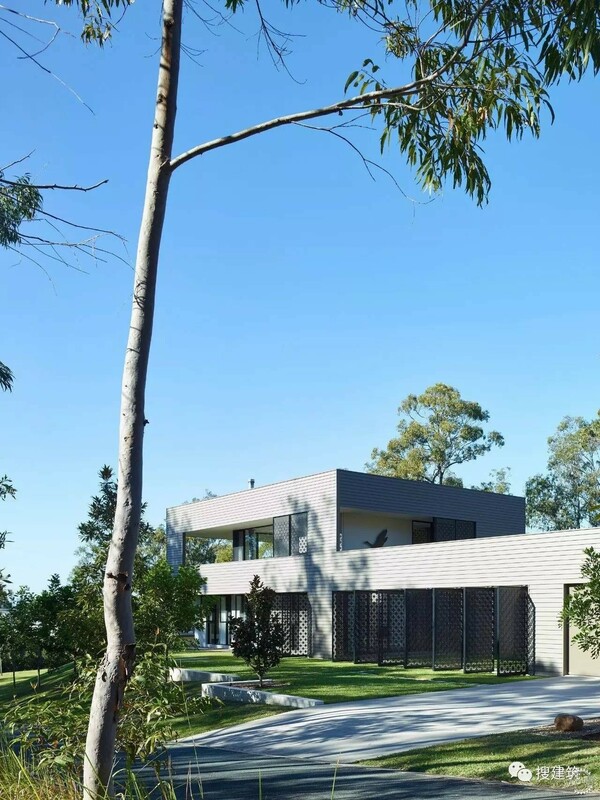 Exterior cladding is carried through from the courtyard wall, to the entry of the main pavilion and draws people upstairs to the open plan living area where views of the bushland and Gold Coast can be appreciated. 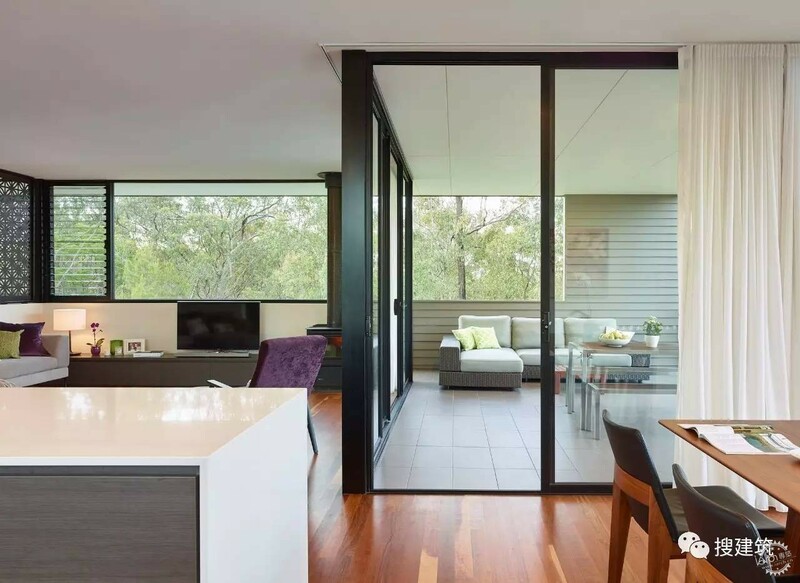 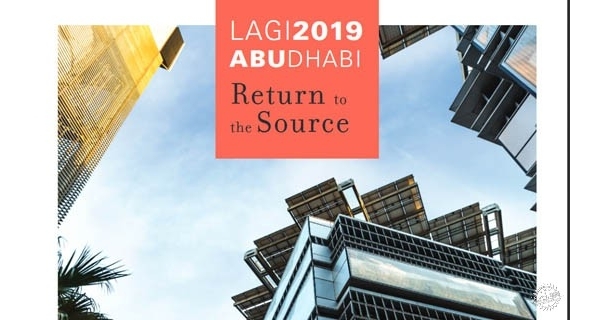 Passive solar design principles, and cost effective materials and construction methods have been utilised to create a home that is functional, environmentally efficient and a pleasure to live in.